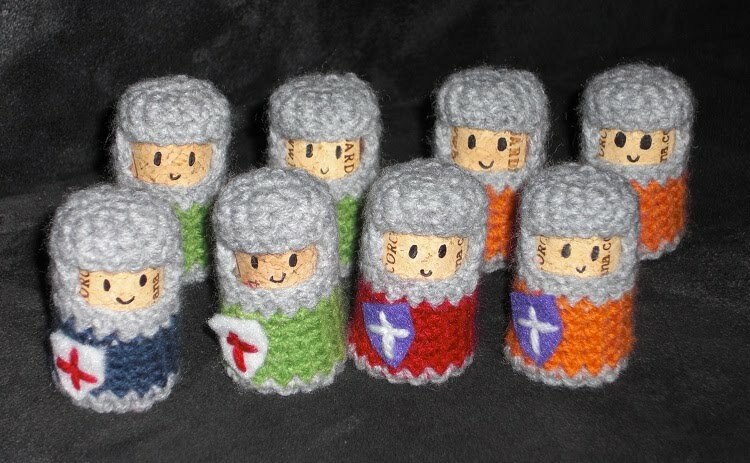 My nephew's birthday is coming up, so I thought I made him some knights and castles to play with. On Lucy Ravenscar's blog I found a cute pattern to create knights from corks. Very cute! I cut a cardbox box in half and spraypainted it grey or grey/orange. With some permanent markers it was easy to draw bricks, plants and other things on the walls. I'm very very happy with the end result, and I hope my nephew will be too!